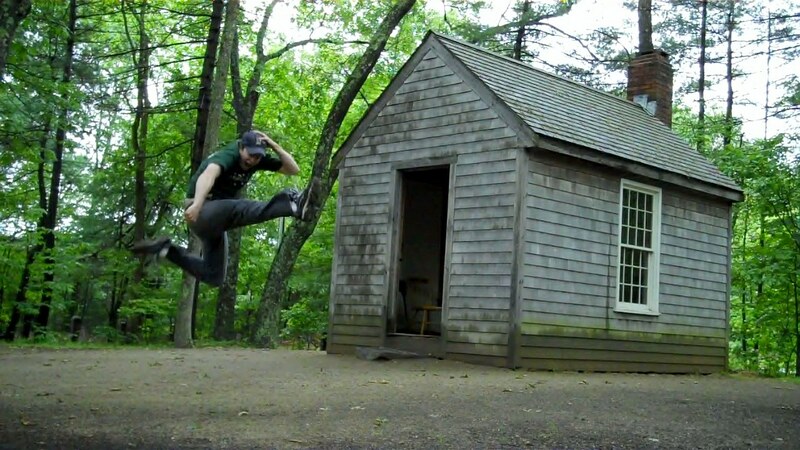 I squeezed in two little video shoots this morning- the second one being an unplanned return to Walden Woods- where we focused on the REAL site of H.D. Thoreau's cabin on the far end of the pond- the cabin that no longer exists.....we also shot a local area treehouse, one being occupied year round by 17 year old Cameron Shorb. Above is a random shot (always with the goofy jump! I have a collection of "jump" photos from many of my travels....) in front of the Walden Cabin recreation.